ECOsmarte - Commercial - Irrigation System by ECOsmarte Planet Friendly, Inc. The system pictured will handle the 2 acres plus a 6000 square foot, 6 Bath house.Whether you're a consumer gardener or a commercial grower/rancher, ECOsmarte’s irrigation product line and eighteen year field experience will achieve better results with less water used. Soil moisture levels rise with the oxygenated and ionized water. In some cases ECOsmarte can overcome both high salinity in the water (up to 1000 ppm) and the soil. (Canyon West Golf Course: Case Study) Lower surface tension or 'wetter water' is the key. The vast majority of ECOsmarte irrigation systems are installed to remove iron and manganese, items that stain rock and concrete as well as prevent successful plant growth. ECOsmarte irrigation configurations have an extremely low operating cost and average 30 minutes per year simple maintenance on residential sites and average 2 hours per year on 12 month commercial sites. 'Wetter water' means less water, less herbicide and less pesticide. Go to www.ecosmartepool.com - Here is a video testimonial from one of ecosmarte`s satisfied customers using an Ecosmarte Pool System. Ecosmarte, your non-chlorine solution. Healthy swimming with your chemical free pool. 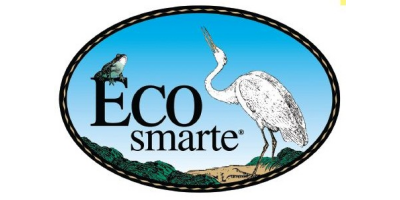 ECOsmarte Testimonial from Wagner's Greenhouses in Minnesota. No reviews were found for ECOsmarte - Irrigation System. Be the first to review!